Interior designers and home furnishing retailers - listen up! As LEDs grow in popularity, chances are more clients will be asking tough LED questions that interior designers or even home furnishings retailers may not know how to answer. We asked experts at lighting showrooms for their toughest LED questions — and their best answers. Here’s what they said. 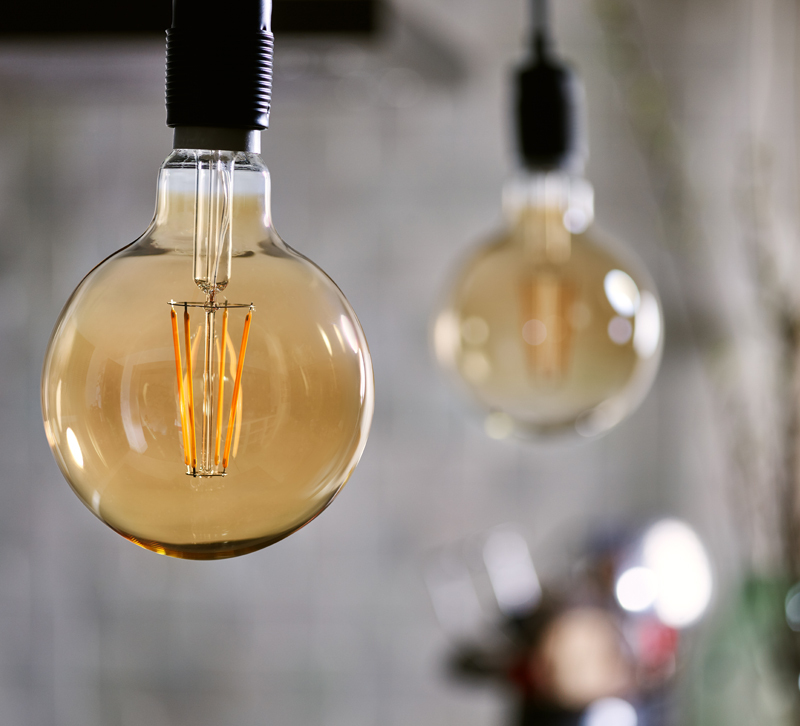 Why are LED bulbs a better choice over incandescent bulbs? Most customers know that LED bulbs are better for the environment, but they don’t always know why. In terms of energy consumption, Brown says LED bulbs use about 75 percent less energy than incandescent bulbs, which makes a big impact on electric bills. Not only is the power consumption low, but the bulbs convert energy to light – not heat – which means they don’t get as hot. But beware the term, “better,” says Carrie Arnold of Phillips Lighting & Home in Modesto, CA. “They’re only ‘better’ if you get the right one for your application,” she explains. What types of applications are LED bulbs best suited for? LED comes in more than just bulbs, so there are plenty of applications for them, such as linear bars, track and rail fixtures and under cabinet lighting. No one application is necessarily better. Before a client buys an LED bulb, make sure you ask him or her how the bulb will be used so you can help choose the right product. “It’s hard to know what the ‘right’ type of LED is without finding out about the where it is going first,” Brown explains. “We see a lot of customers who are disappointed or dissatisfied with LED because they just blindly grabbed what seemed like it would work at a box store," Arnold adds. Why are LEDs products more expensive than incandescent and halogen bulbs? When customers first see the price difference in incandescent versus LED bulbs, they’re usually pretty shocked. Although that price difference has come down, says Arnold, LED bulbs will cost a bit more. Arnold finds that highlighting the quality of the product eases sticker shock. When will I recoup my investment in LED bulbs? If the sticker shock doesn’t wear off after you explain the quality of LED bulbs, Arnold recommends using an energy-savings calculator (like this one) to help customers gauge how much they’ll save with LED bulbs in the long run. Can LEDs be used outdoors? The short answer is sometimes. Some LEDs can be used outside, provided that they’ve been UL-listed for a wet location. Make sure your client understands what UL means before they choose an LED fixture or bulb. What questions about LED do you get most often from clients? Let us know in the comments!